The Congressional (small). Overall width is 26″. Wing compartments measure 7″W x 7″H and the center section is approximately 6″ W x 7″ H. Overall depth is 3 1/2″. 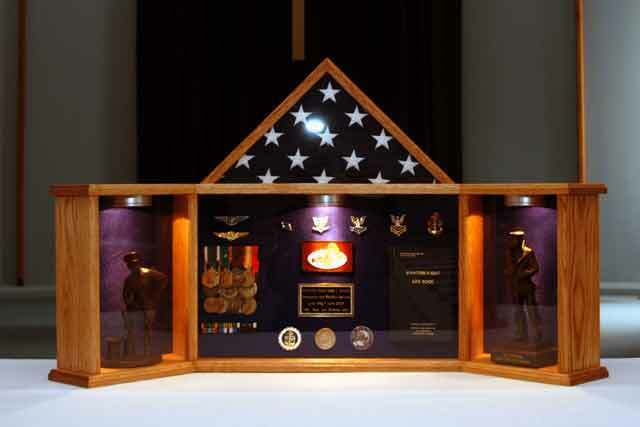 Can be made to fit 3’x5″, 4’x6′, and 5’x9′ (funeral) flags. Please allow 2- 6 weeks for assembly and shipping. The Congressional (Large). Overall width is 30″. wing compartment measure 10″ W x 10″H. 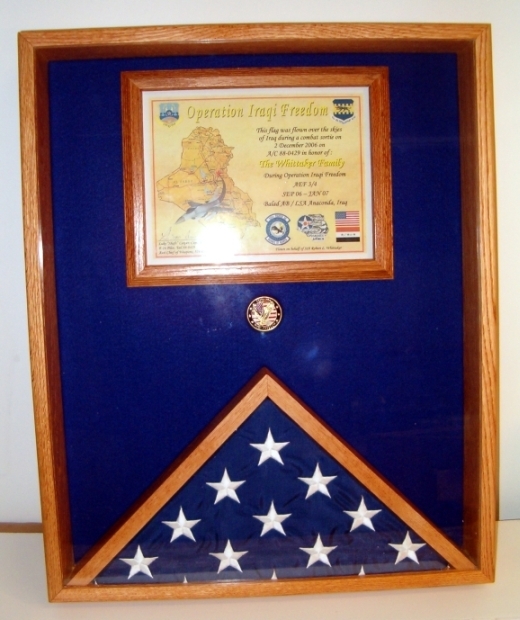 The center section is approximately 6″W x 10″ H. Overall depth is 3 1/2″ and can be made to fit 3’x5″, 4’x6′, and 5’x9′ (funeral) flags. Please allow 2- 6 weeks for assembly and shipping.